The primary focus of the U.S. civilian-assistance program is to develop a stable, secure and tolerant Pakistan with a vibrant economy. Working with other U.S. agencies, as well as donors and international development partners, USAID has focused its program over the last year on five areas essential to Pakistan’s stability and long-term development and reflective of Pakistani priorities: energy, economic growth, stabilization, education and health. 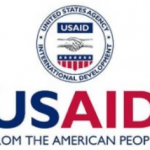 Over the last year, USAID has streamlined the number of projects from approximately 150 to less than 70 and has also chosen to implement over half of all funding through local organizations in Pakistan – both government and non-government. Supporting the civilian government’s capacity to meet the needs of its citizens is a vital element of USAID’s program, as is working with non-governmental organizations and the private sector. 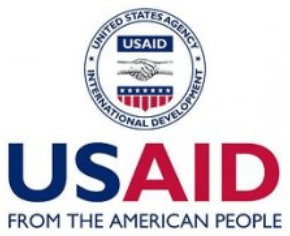 The United State Agency for International Development (USAID/Pakistan) is seeking individuals for the position of Voucher Examiner for the Office of Financial Management in Islamabad. The position is classified at the FSN-08 grade level. The starting salary for this position is Rs. 1,019,610 per annum and the maximum range is Rs. 1,885,932 per annum, per the current FSN Compensation Plan. The Office of Financial Management (OFM) is responsible for providing full financial management services to USAID/Pakistan. * OFM maintains a comprehensive accounting system managing a current Operating Expense (OE) annual budget of approximately $20 million, a Program Support Cost annual budget of approximately $25 million, a Program Operating Year Budget (OYB) of an estimated $500 million and a pipeline of approximately $2 billion. * It provides dedicated financial analysis and accounting support to each development assistance team and, as needed, technical guidance to contractors and grantees. * The Voucher Examiner (VE) is an integral member to the OFM (which consists of thirty-two other staff members), working throughout the full range of payment functions, including government to government (G2G) payments. * Illustratively, the voucher examiner provides voucher examination services and accounts receivable requirements. * Voucher Examiner works under the direct supervision of the Supervisory Voucher Examiner, with general supervision from the Chief Accountant. Education: A college/bachelor’s degree (a minimum of 14 years of education) in accounting, Finance or business administration is required. Experience: A minimum of five years of related experience in professional accounting, auditing, or financially-oriented business management is required. Language: Level IV (fluent) Reading/Writing/Speaking of English and Urdu is required. Language skills may be tested during the recruitment process. Knowledge: A thorough knowledge of general business practices related to accountings payables and receivables, cashier operations, payroll operations and banking procedures is required. Additionally, a good understanding of Pakistani common business practices is required. Abilities & Skills: The ability to read, to understand, and logically apply complicated regulations, directives, and procedures relating to the voucher examining process is required. Must be proficient in the use of accounting software and Microsoft office applications is required. Excellent written and oral communication skills are required. Flexibility to perform a variety of tasks at the same time, excellent organization skills in order to ensure smooth and efficient “paper “flow” in OFM. Skill in the use of relevant software programs including spreadsheets, databases and word processing programs is required. Computer skills may be tested during the recruitment process. 4. Applicants for the position must meet the required qualifications as advertised in the vacancy announcement. 5. Current employees who have voluntarily been reassigned/been promoted from one position to another are not eligible to apply within six months from the effective date of the reassignment/promotion. 6. Candidates need to indicate on the Application for Employment if any family member is working in the U.S. Mission Pakistan and, if so, in which section they are employed. 8. Please note that for In-House Candidates, employee’s transfer or promotion, whichever is applicable, will be processed according to respective clauses of 3 FAM regulations. To Apply: Interested applicants must submit their duly completed DS-174 (Application for Employment as LE Staff). Applicants are advised to include all of their current and previous experience including duties and responsibilities that may not be directly related to the subject position. This information will be used as an official record of the applicant’s prior work experience in the event he/she is selected for the position. Applications should be forwarded on the following email/mailing address. Applicants should clearly mark the position title and/or vacancy announcement number they are applying for on the envelope. Applications can also be submitted by Email at: FSNIslamabad@usaid.gov. While submitting through email, the Vacancy Announcement Number must be mentioned in the subject line. Human Resources Unit, Office of Executive Management, USAID/Pakistan U.S. Embassy, Diplomatic Enclave, Islamabad. Applications received after the closing date and incomplete applications will not be considered. Applications not submitted on the prescribed application form and on the given email/mailing address will not be considered. Only short listed candidates will be contacted for their test/interview. To see all advertised positions, please visit Embassy Website:http://islamabad.usembassy.gov/emplo...rtunities.html. 1. *Ordinarily Resident (OR): A citizen of the host country or a citizen of another country who has the required work and/or residency permit for employment in country. 2. *Not-Ordinarily Resident (NOR): Typically NORs are U.S. citizen EFMs (Eligible Family Members) and family members of United States Government* personnel who are on the travel orders and under Chief of Mission authority, or other personnel having diplomatic privileges and immunities. Closing Date for this Position: June 10, 2015. U.S. Mission, Pakistan is an equal opportunity employer. All applicants will receive consideration without regard to race, color, religion, gender, national origin, disability, age, sexual orientation, social status, or political ideologies/affiliation. Last edited by mubasshar; 8th June 2015 at 03:09 PM.